Say I love you with Amaranthine`s Pink Sensation Boxed arrangement, in it`s own water source this stylish design is a pleasure to have in any home, office or hospital room and a beautiful way to welcome a new baby girl into the world! 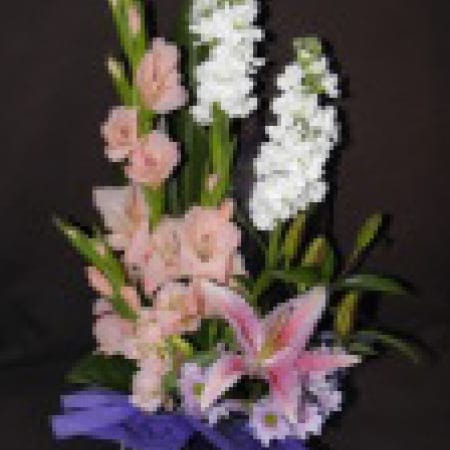 Filled with the timeless gladioli, long lasting and fragrant oriental lillies, sweet smelling stock and the much loved chrys this design is sure to please. A unique design from Amaranthine Flowers By Design New Lambton, Newcastle to say, thinking of you, I miss you, Happy Birthday, Congratulations on your little girl, Get well soon, Happy anniversary or just because.